This looks delish! Unfortunately, it is hard to find rabbit in the U.S. and when you do, it’s rather expensive, but you’ve inspired me to bite the bullet again next time I see it at a Farmer’s Market. It is too true! Americans have a Peter Rabbit complex. We used to have it in the local supermarket, but it wasn’t selling well so they discontinued it – much to my disappointment. Looks utterly delicious, Robin. My stall on the Farmer’s Market is next to a lovely man known to all as ‘Simon the Pieman’…he & his wife own a family butchers and make all their own wonderful pies, among them is Wild Rabbit & Rosemary. The number of people who squeal & say ‘oh, I couldn’t eat a bunny rabbit – they are too cute’ is really quite funny…these people often go on to buy a famed ‘Lamb & Mint’ instead. I always want to ask them how anything could be more adorable than a lamb?? But Simon, Margot & I keep our counsel and just wryly smile at each other! I’m glad you are championing this healthy choice. BTW, my Mum doesn’t like eating rabbit because it reminds her of wartime rationing, when it was often the only meat they could get – overkill! “Simon the Pieman” is perfect. Next time I’ll pop a sprig of rosemary in the pan. Actually I’m known as ‘Rachel the BrownieGirl’ !! Although ‘girl’ might be pushing it a little….talking of lambs, just heard from my farmer sister who is currently warming a (live!) newborn by the fire….so they’ll be vegetarian tonight! 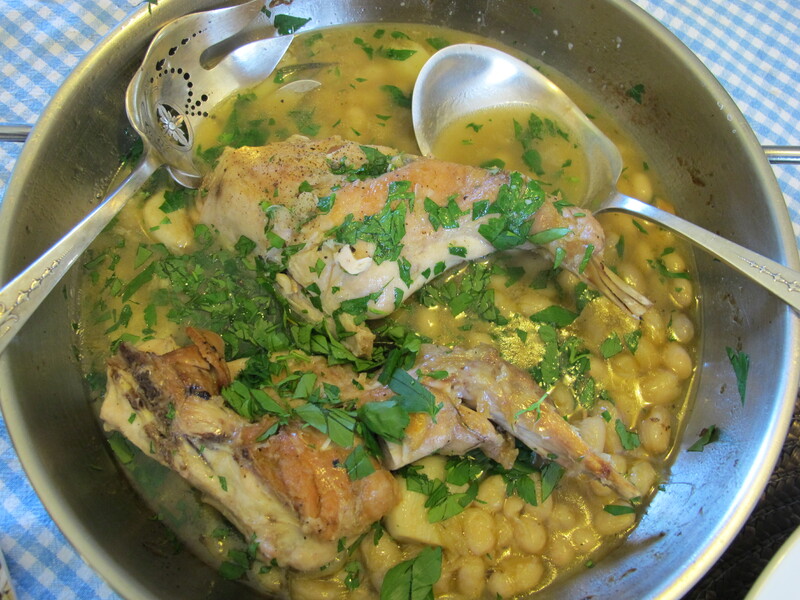 Reminds me of growing up in Wales in the 1940s, rabbit stew was wonderful and what’s more, the meat was always free! Happy memories of gutting the rabbit and taking off the skin. Wow! 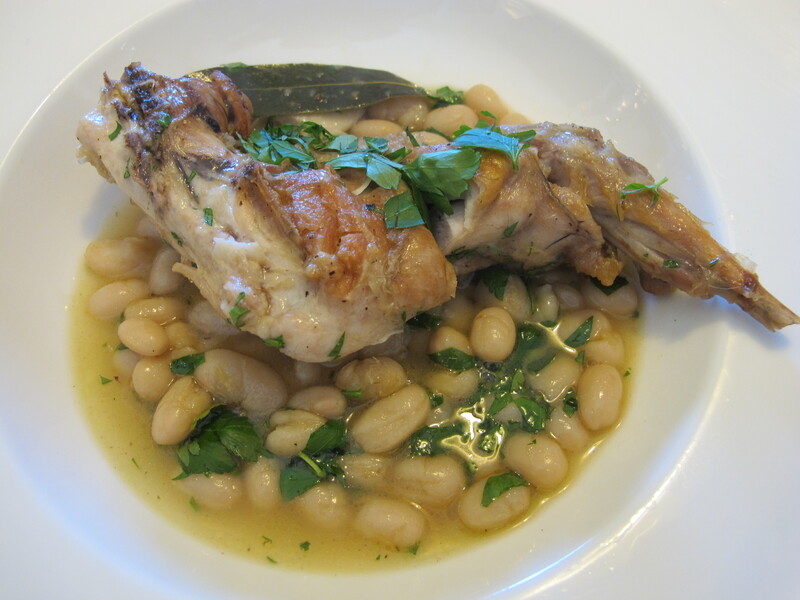 This recipe looks great and I love rabbit. It is hard to find here in the States, but I everyone once is a while -a like to get some from the butcher. Great photos! Looks gorgeous. And yes, it is incredibly expensive in the U.S. Thank you Walt Disney for making making Thumper so cute. And really, it is absurd. 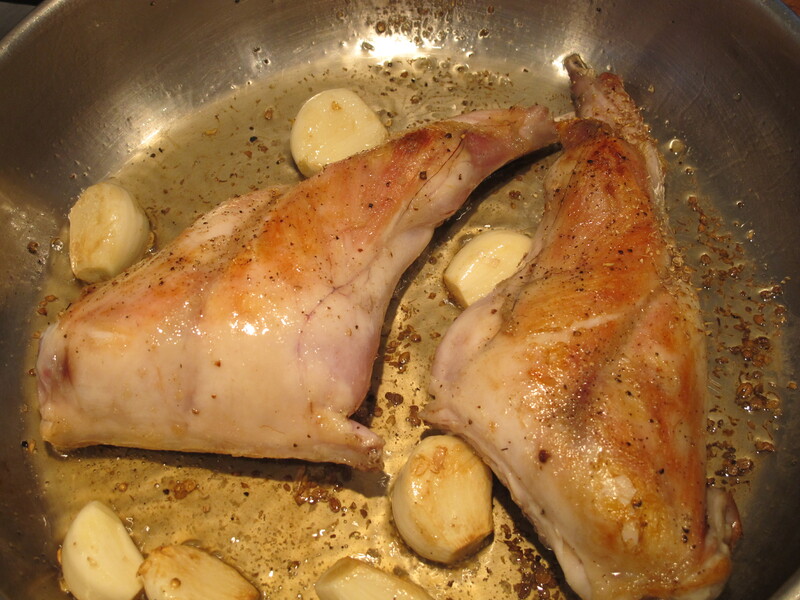 Rabbit should be the most economical meat without having to go to hideous extremes to increase production. Instead it is actually more expensive than high grade beef. Ridiculous. It is healthy, delicious and should be cheap as meat proteins go. Plus, most people who garden are constantly at war with the critters. 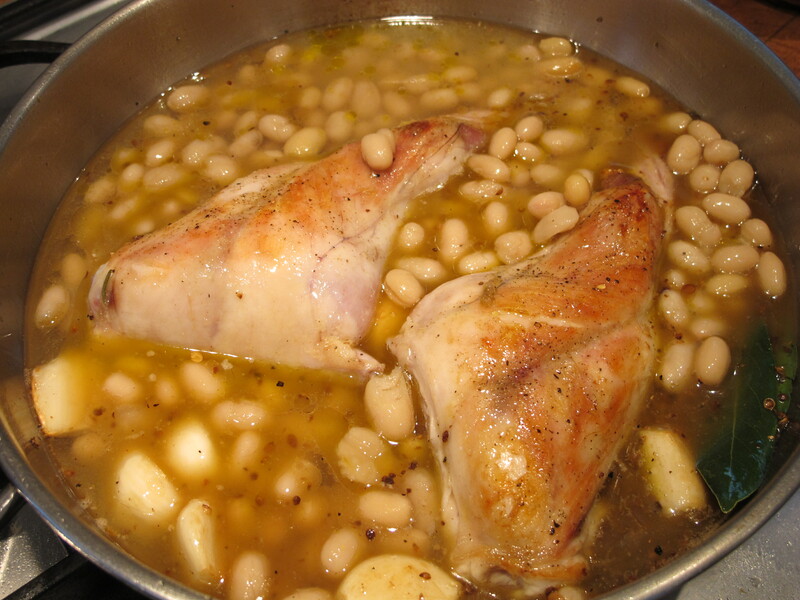 WE really need to get over this and put ’em in the stew pot with some lovely white beans as you have! I am with Meredith on this – I had a pet bunny by the name of Thumper. No way I could eat rabbit. Funny how we can eat certain types of meat but not other types. I love a good steak now and then but cannot eat veal! on February 7, 2012 at 7:42 am | Reply Caroline P.
Nice to read all the comments….bunny pets…. 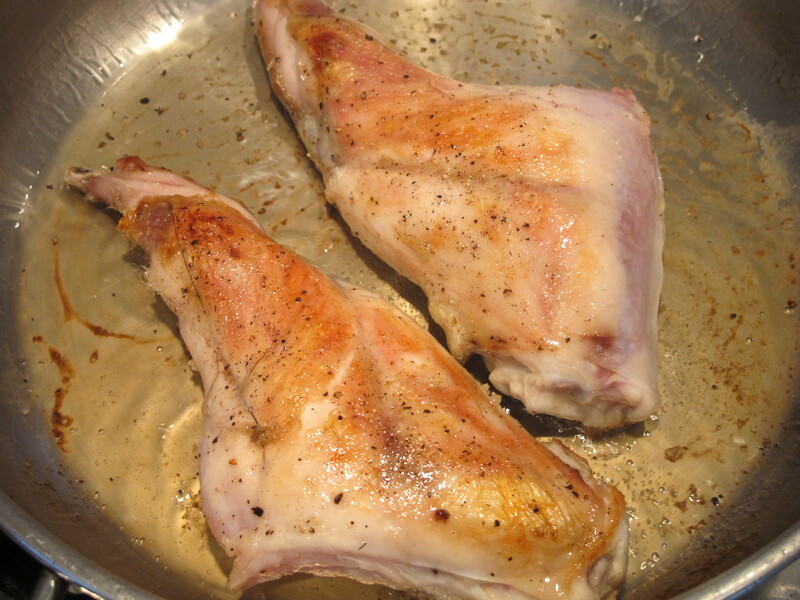 expensive rabbit meat. Everybody has their thoughts. In our garden there are three pet bunnies called Molly (will this name change your opinion?) and Eeyore (a grey one) and Tommy (black-white).I don’t know … I have my doubts.